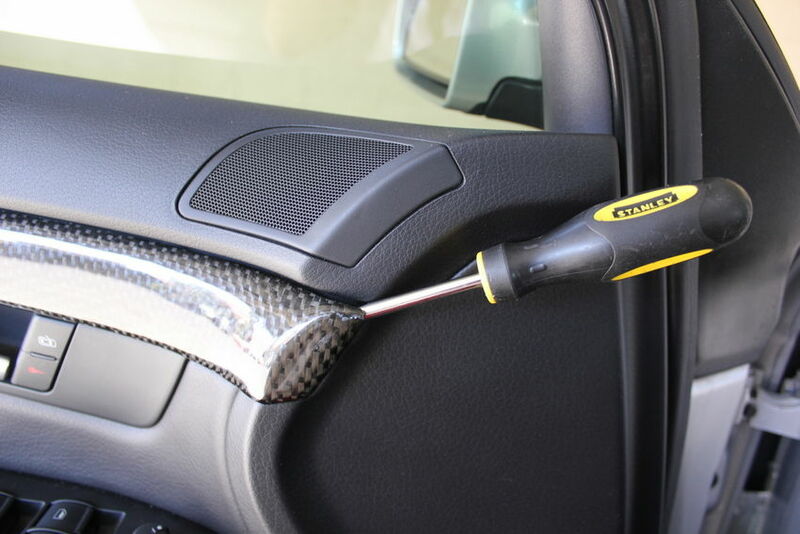 As you know, I have custom carbon fiber trim by oCarbon installed on my Audi A4, so when I went to trade it in, I put the factory (OEM) trim back in so I could keep my carbon fiber trim for my S4. I took pictures of the whole process so I could create a trim removal guide. This applies to any B6 or B7 Audi in sedan or avant format (cabrio/convertible is different) including the A4, S4 and RS4. I used this guide as a basis (also worth a read) then elaborated on a few areas that needed a little more detail. 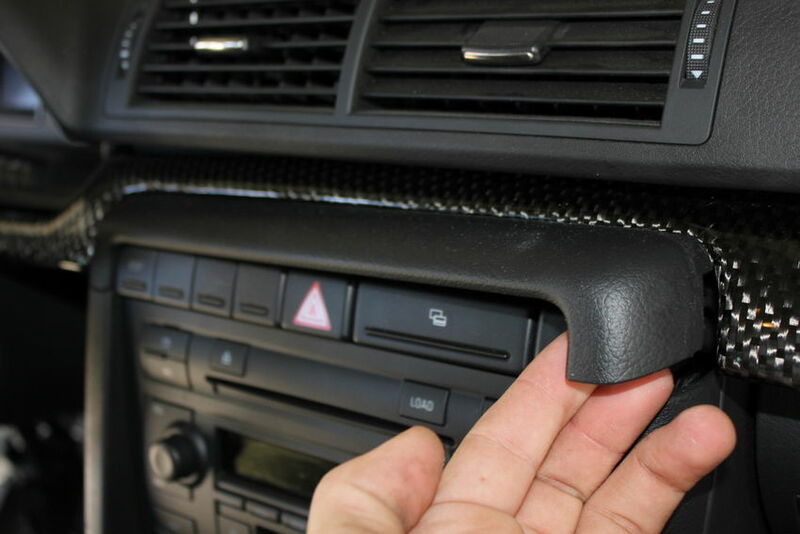 By the way, if you want a new look for your trim, I highly recommend oCarbon – they are experts at what they do and can let you customize the carbon fiber color, weave & pattern to you’re liking. I went with a custom pattern called 5HS which you’ll see pictured below, and I think it came out awesome, just slightly more aggressive looking than OEM for that OEM+ look I know and love. Repeat on all four doors. The new trim just pops right in using your hands. Like I said, this is the easiest part…it will probably only take a few minutes per door. I did the rear ashtray next because it’s also very easy. There are two prongs on either side that hold it in. 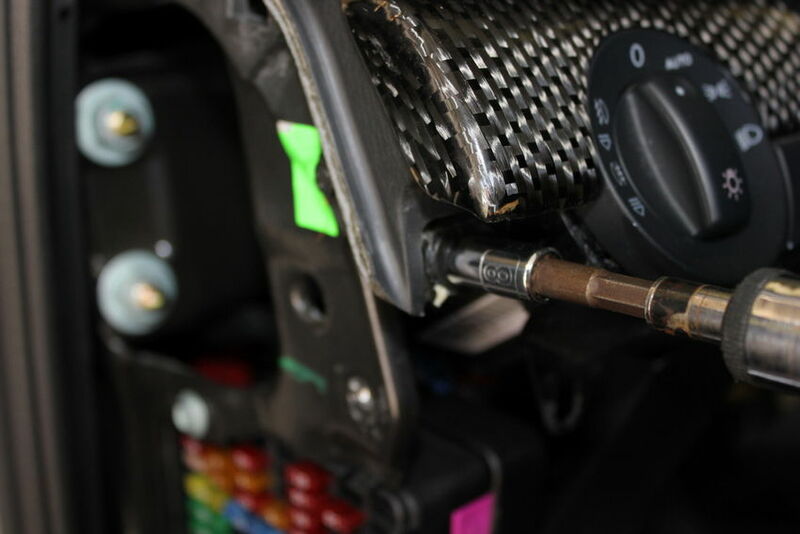 wedge your screwdriver on the side of it and pry it out. It works best to push it either all the way towards the left side or all the way towards the right side to get one of the prongs out, then once one side is out it will simply fall right out. The new unit just pops right in. We’re making good progress! 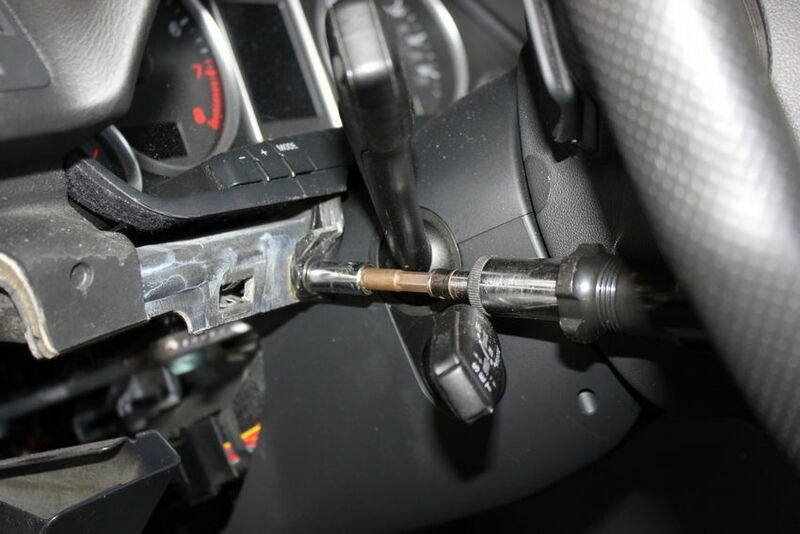 The replacement piece pops in the same way, but don’t put that in quite yet, remove & replace the shifter trim first. 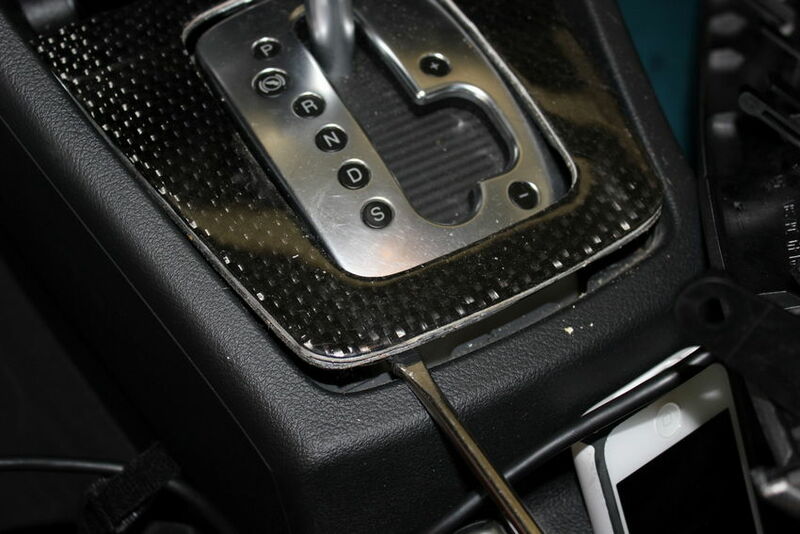 For an automatic, the shifter trim can also be removed using the tape-wrapped screwdriver. Be VERY gentle! 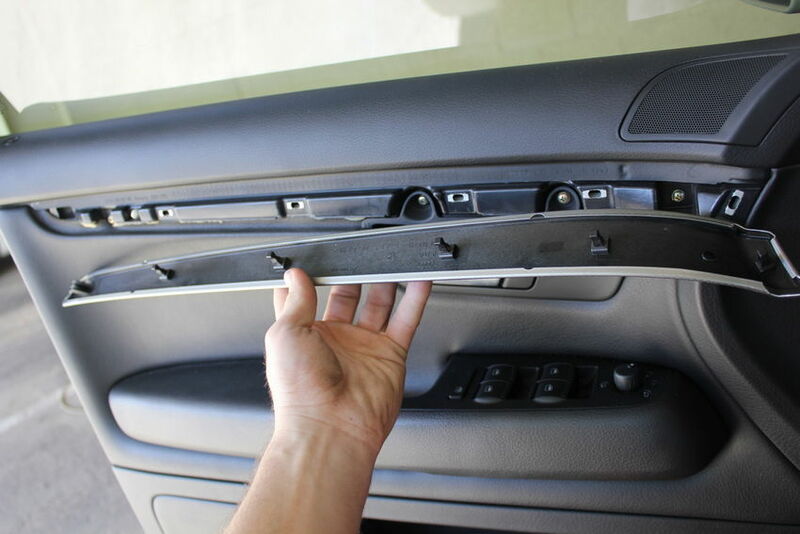 If you have aluminum or fishscale trim, you can bend or warp the trim which looks really bad. 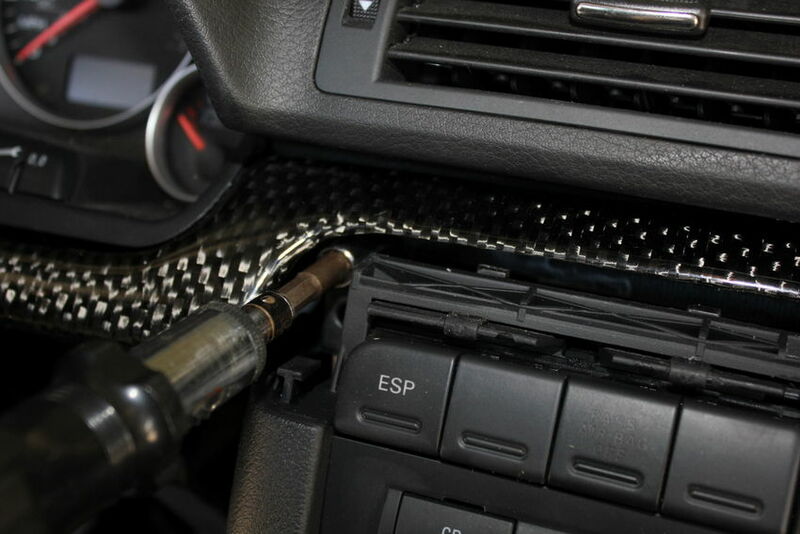 For a manual you need to remove the leather shifter boot first, which can be done by squeezing together the clips that hold the boot in place. 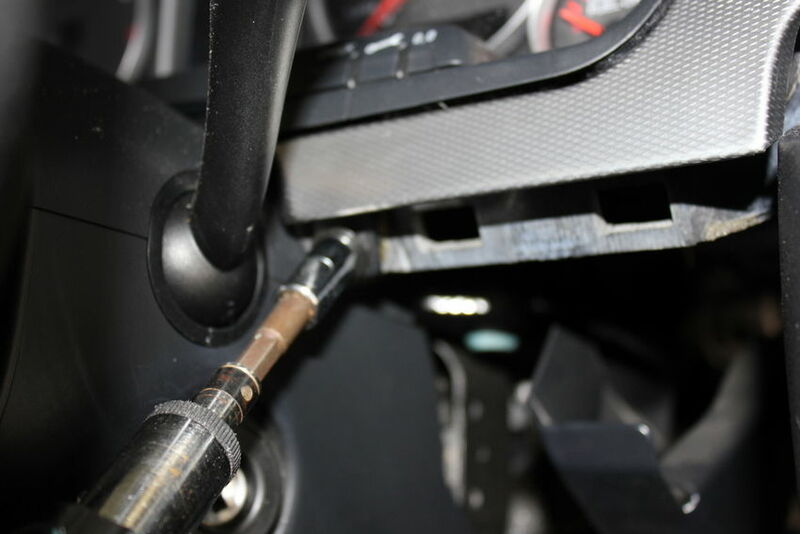 Now that you have the shifter trim out, replace the shifter trim and ashtray by popping in the shifter trim then aligning the asthtray prongs with the holes and sliding it in place. With those three bolts removed, the entire lower dash drops to the floor and out of your way. 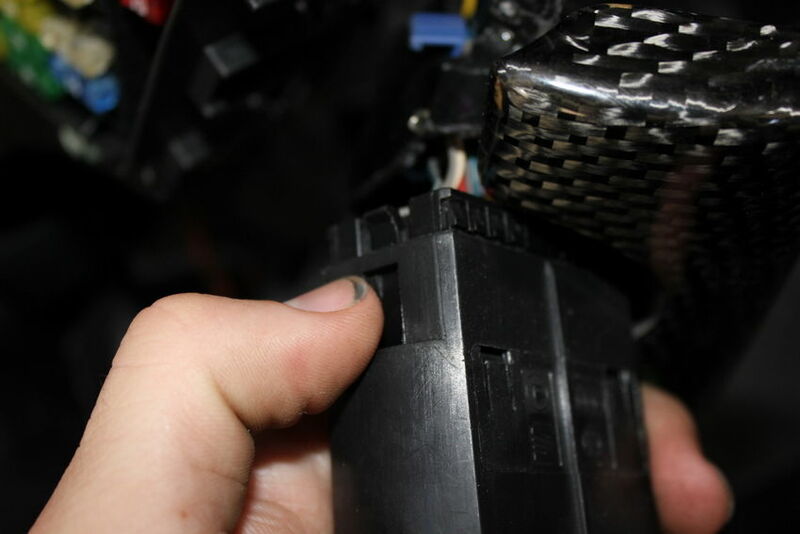 You can also pull the big fuse labeled “640” at this time to disable the Servotronic/power steering assist and give your car a much tighter and firmer steering wheel feel. 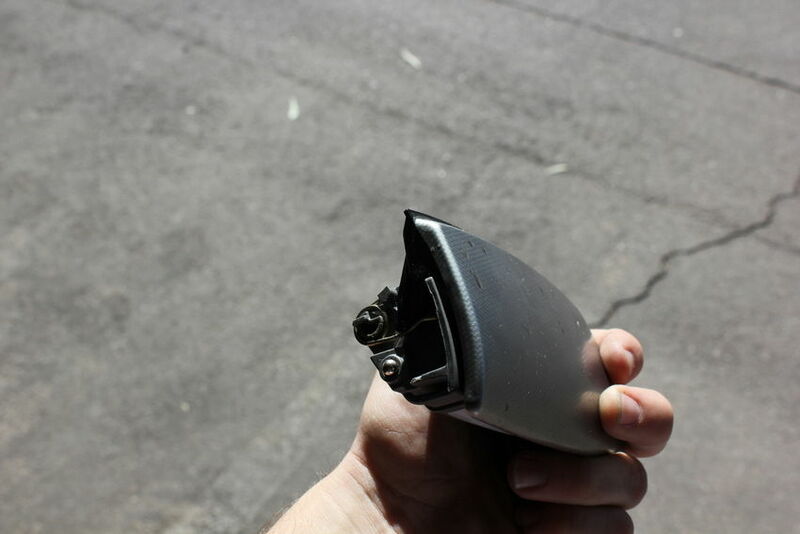 One more minor thing – you need to remove the headlight switch from the trim. 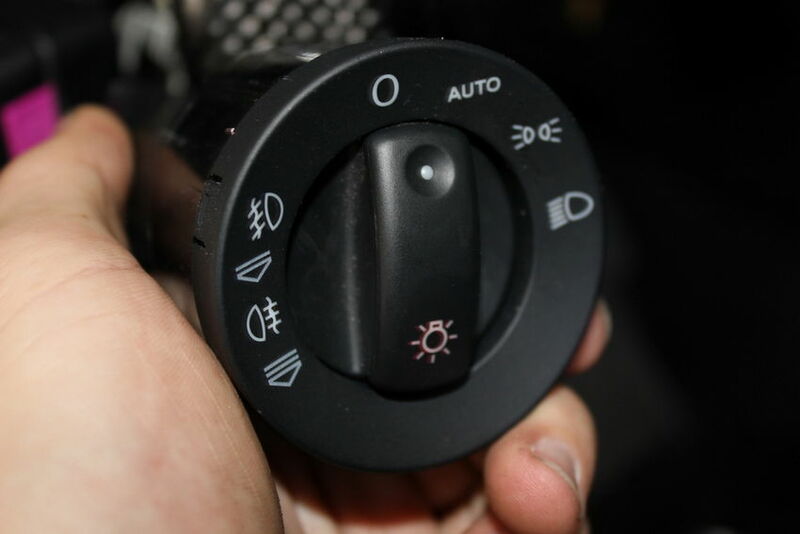 Turn the switch between the 0 and Auto positions and push it in. It will go in about an inch and you’ll feel it when it goes in, so if you’re having trouble adjust the position of the knob until it works. Once the switch/knob is pushed in, you need to turn it to the right and it will pull out. The last piece! First, pop out the plastic trim above the warning symbol/drink holder/card holder. It just pulls right off. That will expose a few bolts you need to remove. 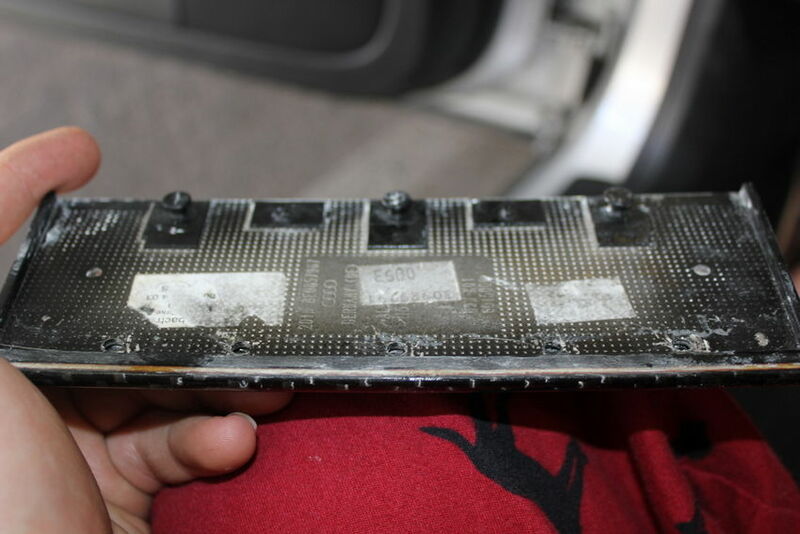 Also pull of the cover on the side of the passengers dashboard (exactly where the fuse box cover was on the drivers side, only there are no fuses on this side). Lastly, open the glove box. 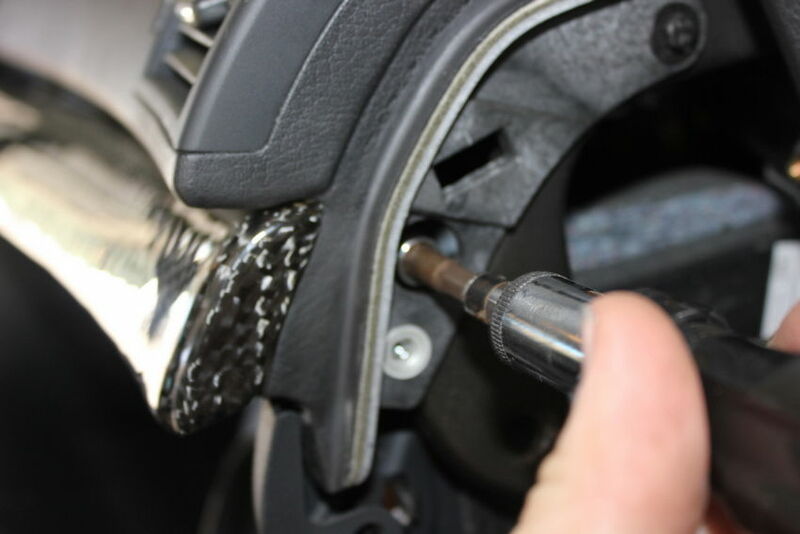 With the bolts removed, gently pull on the trim to remove it. To install the new trim, pop it into place then tighten all four bolts. Then replace the two plastic covers and you’re all done! If you’re anything like me, the last step of any mod install is to admire it by going on a nice, long spirited drive. Enjoy your new trim! 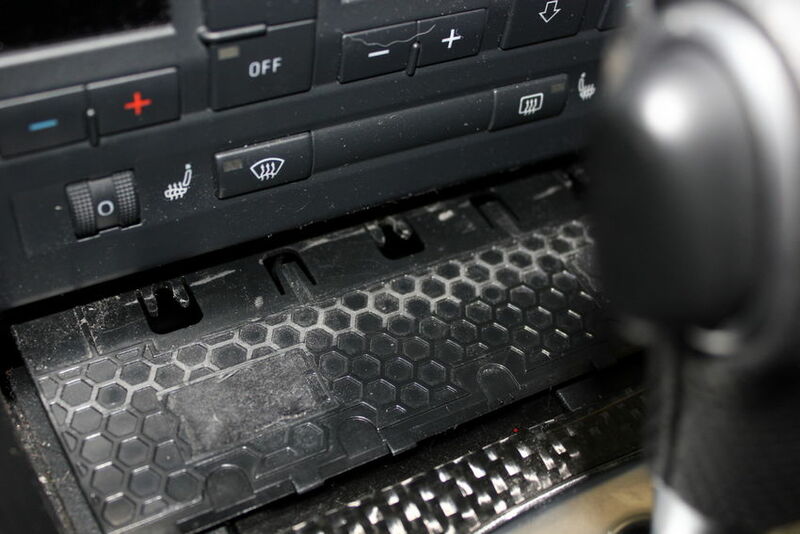 I know in the older model Audi A4 (B5), you would have to remove the entire door panel to remove the trim pieces. 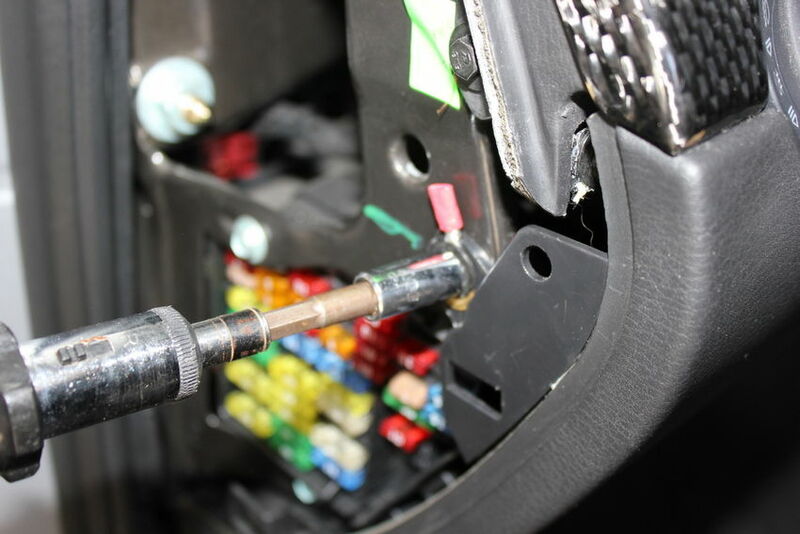 So when I saw you sticking that screw driver between the panel and trim, I was expecting a broken trim in the next picture :\ The carbon fiber trim imo looks great, and the pictures were of great quality. Nice writeup. Hey Nick, How much did the all the carbon fiber trim cost? The pricing and other info can be found here: http://ocarbon.com/products/audi/a4/b6b7. I believe it costs $550 for the full set of trim. Slightly O/T but care to share the details of that phone holder please? I’d like one for my desire HD! Thanks for the write-up and detailed pics, Nick. I did this install yesterday, took about 2 hours going very slowly and double-checking everything. 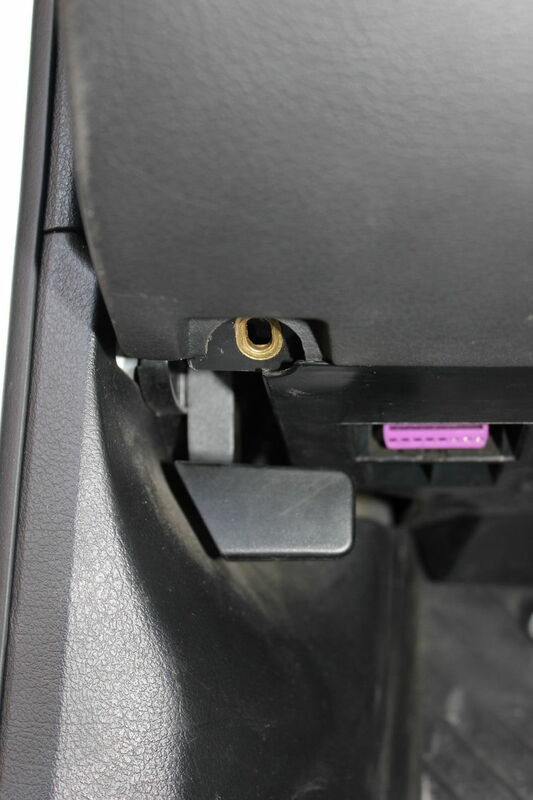 One note/comment, you say to put the lower dash back on prior to installing the last trim piece, I’m not sure you can get to the bolt on the right side of the steering column for that last trim piece if you do so (it looks like you had the dash off still, too). Anyway, thanks! 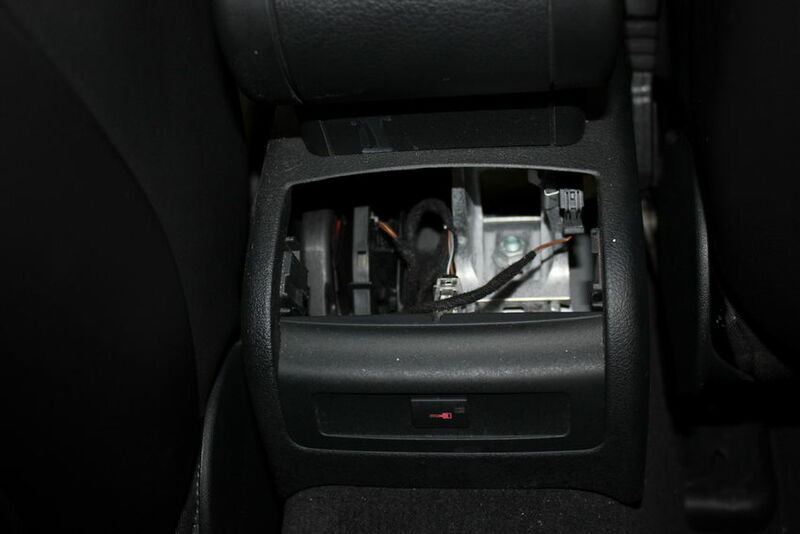 Do you know what the part number for the dash trim piece is in the first picture of step 5? Not sure, sorry. Check Audizine perhaps? 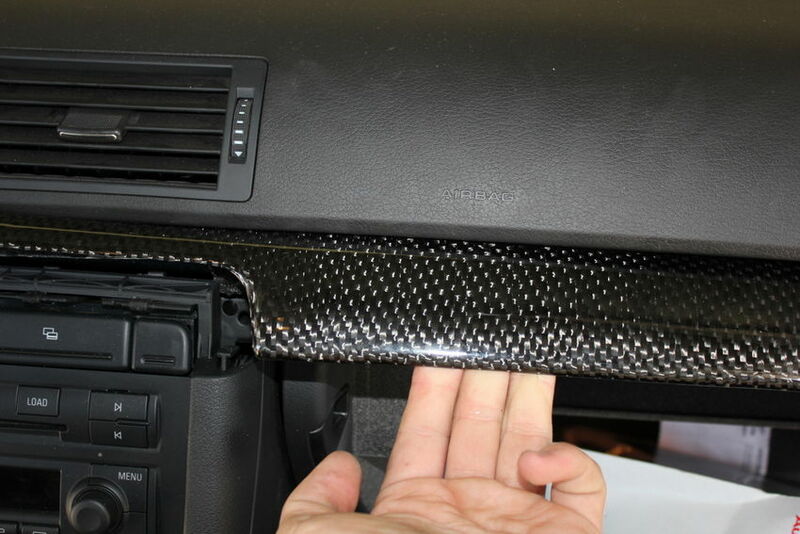 Need “how-to” steps to remove RS4 carbon fiber trim above glove box. Have you ever done a mod to replace a blank dash button to be a garage door opener? Sorry, I haven’t Joe – many people have wired up a “funk” button do that though, I’ve also seen it wired be a radar detector silencer. Good luck! 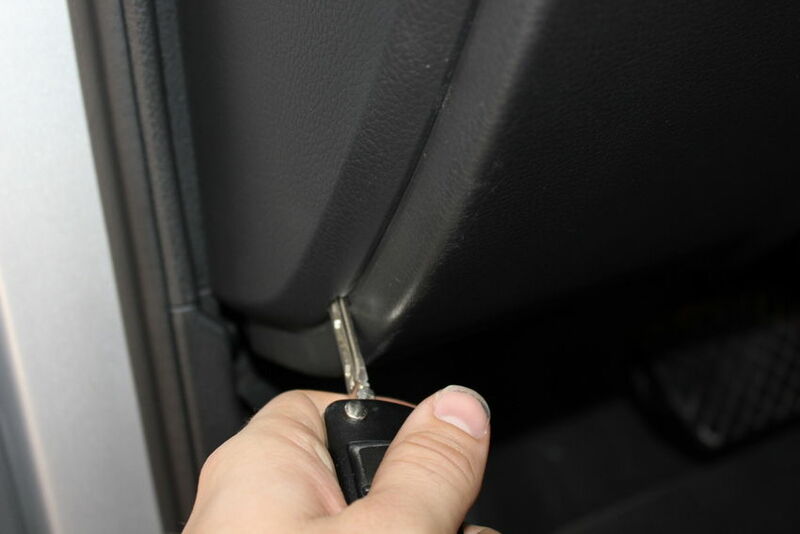 Would you know how to remove the door lock switch as well? I assume the door trim would need to be removed first, hopefully it just pulls out? any help would be a appreciated! Hi Nick! Just bought a 2005 Audi A4 convertible. I want to only replace the door trim with woodgrain trim. Your blog says that it doesn’t work for convertibles. Do I need to do anything different? 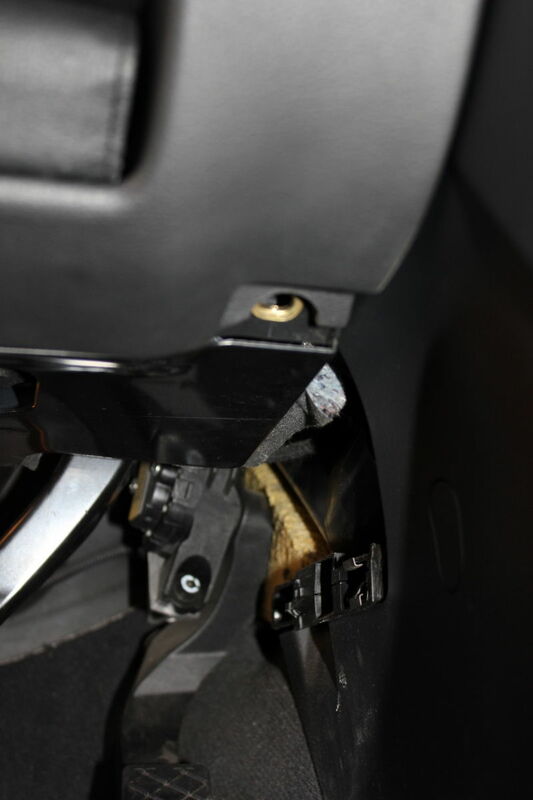 Also, do you know where I can just get the door trim pieces? And how can I tell which version of the car that I have? B6? B7? How can I tell? Thanks! I’ve been going through eBay, but all I’m seeing are full woodgrain dash kits, and they don’t even cover the door trim! But I’ll keep looking. Wow, that is a killer deal. Assuming it is OEM trim it is worth upwards of $600-750 used, so that’s a bargain! Do you know if the B6 interior (roof lining and pillar trim) will fit the b7? I have the cream headliner but would like to go black as it looks way better. Yep, direct fit – no problem there. I’ve purchased a B7 sedan. The rear window must have been replaced because I can see a bit of broken glass left behind. My problem is that I have a loose wire with a spade connection hanging from behind the d pillar. No rear window heater and sketchy radio reception. I’m sure it needs plugging in but I can’t see how to remove the d pillar. Sorry Mick, no clue on how to remove the D pillar. I thought you could get it from the interior but could be wrong there. It’s the interior panel I want to remove but it seems pretty solid and the last thing I want to do is snap it. I have a 206 AUDU A4. The locking mechanism on the fuel tank has broken. I would like to get to it to either pt it back together or replace it. Any instruction on how to get to it? in 2012 with only 22k miles on it. Anyhow, I’m thrilled to have it back (now with 90k miles, but in great shape). I’m planning to do the OCarbon trim upgrade, but was concerned that I might end up with broken or loose trim pieces in the end. Your post makes me feel better that I can handle this little project. 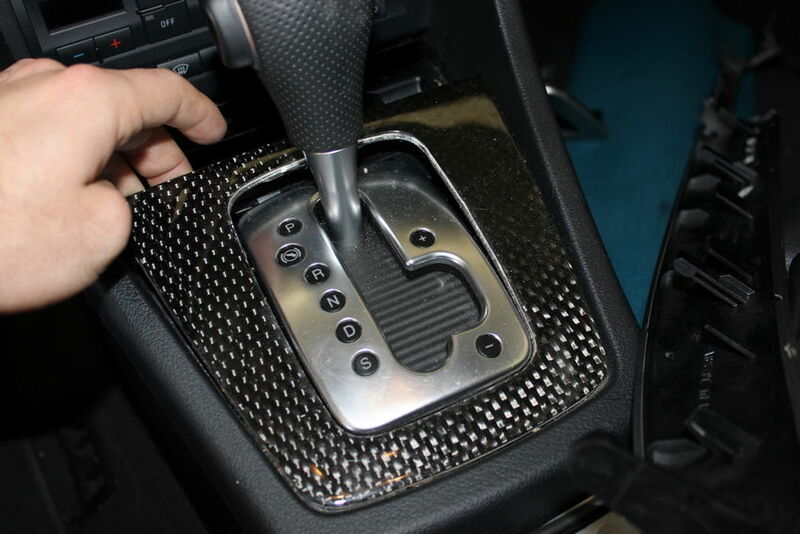 I just bought a complete set of used oem trim pieces for my standard s4 b6..I was just told that the shift boot retaining frame is for an automatic…will it still fit into my standard?? Need info on how to replace the cover for the center consolel I HAVE THE REPLACEMENT cover.